Virgin America’s time is almost up. After the last flight goes tomorrow night, April 24, the airline will officially be gone from the public eye. Starting Wednesday, all those Airbuses operate under the Alaska Airlines name. There are many milestones in a merger, but for the public, the passenger service system (PSS, aka reservation system) cutover in the big one. Sometimes these migrations have gone horribly wrong (US Airways/America West and United/Continental are the poster-children) while others have gone extremely well (most recently, American/US Airways). How will this one go? After talking to the team running this cutover, I’ll be surprised if it doesn’t go smoothly. I’ve written about how American and US Airways set the gold standard for how to do a cutover, but Alaska and Virgin America are making things even more fool-proof. I spoke with Charu Jain, Alaska’s Chief Information Officer as well as Sandy Stelling, Managing Director of Process Engineering (and project lead for the migration) who walked me through the plan. You’ll remember that American and US Airways did a “drain down” meaning that at 90 days before the day they wanted to cut over, they stopped accepting reservations on US Airways and sold the flights as American only. That meant that there were very few reservations that needed to be migrated to the new system since most bookings happen within 90 days of travel. Alaska and Virgin America are taking this one step further. They won’t have to migrate a single booking. About a year ago, Alaska made the decision to set April 25, 2018 as the date that all flights would operate under the Alaska name. So at 330 days before departure when reservations would normally open for sale on Virgin America… they didn’t. Oh sure, you could keep buying tickets on Alaska’s Boeing fleet. But the Virgin America Airbus routes just didn’t go on sale for travel past April 24. In fact, they kept cutting down the booking window for the Airbuses, not taking any bookings past April 24 until October 5 when the schedule finally opened for sale… as Alaska flights. That means Alaska had to migrate exactly ZERO bookings from the Virgin America reservation system. Every booking was made on Alaska Airlines. So, uh, end of story, right? What else matters? Well, there are a few things. While the bookings had all come in on Alaska, there’s still the issue of making sure the Virgin America people at airports know how to use the new Alaska systems. It certainly helps that both airlines use Sabre, but they each have different graphical overlays, so the Virgin America people had to learn something new. At the time of the merger, Virgin America operated at 29 airports, and all but 2 were also airports where Alaska flew. Those two, LaGuardia and Love Field, got Alaska flights soon after the merger, and the airlines worked hard to co-locate in all of those airports as quickly as possible. With the teams working together, Alaska decided to install both Alaska and Virgin America systems on every workstation. Training of Virgin America airport employees began last November and has been happening continuously. So Virgin America employees have been exposed to Alaska’s system for several months, and have used it in real-life on Alaska flights as well. They should be well-prepared. What about in the reservation centers? This one was easy. Virgin America outsourced its call centers to a third party, so, as Virgin America bookings wound down and volume increased on Alaska, Alaska started hiring in its own call centers in Boise, Phoenix, and Seattle. There are today more than 300 additional res agents on the Alaska side. At the same time, Virgin America stopped using one of the outsourced call centers as volume shrunk. There are fewer and fewer people working in the second one. On April 25, calls will all go to Alaska’s in-house team, so no training of the old outsourced agents was needed. As I was going over this information, I stopped and realized how weird it was that they would make the switch on a Tuesday night into Wednesday. Why do that when most airlines do Friday night into the quieter weekend? Alaska had a lot of reasons, actually. Tuesdays and Wednesdays are quieter operational days with fewer flights. Demand is lower, so load factors are lighter and they could thin out the schedule by cutting more redeyes that night without having a big negative impact. Middle of the week tends to have more experienced travelers who are more likely to understand how things work and need less hand-holding. Lastly, Alaska’s most senior employees tend to be working on Tuesdays and Wednesdays and not on the weekend. Adding all that up, Alaska thought mid-week was the way to go. So what exactly can you expect to see that’s different between April 24 and April 25? Not much. The last departure goes surprisingly early on the 24th. It’s Virgin America flight 1947 leaving Los Angeles at 9:35pm and arriving San Francisco at 11:04pm. If you wanted to be on that flight, too bad. It’s a celebration flight for Virgin America employees who were there since the beginning. But there are flights which will land later, including a couple of the only redeyes still flying like SF to Newark and LA to Philly. When the 25th arrives, things will only look mildly different. Alaska has already replaced Virgin America signage where it could. In some places, the Alaska signage is hiding beneath a Virgin America sticker which will just be removed. Alaska has already installed enough of its own kiosks to handle the full passenger load for both airlines. The old Virgin America kiosks aren’t being rewired. They’re being retired. Possibly the most noticeable difference will be the extra employees in the airport. Alaska is staffing up in the Virgin America stations just in case there’s an issue, but really, there shouldn’t be…. With all the bookings being made in Alaska’s system and employees already proficient in the new system, what actually could go wrong? Very little, but there are a couple points to watch. The first is flight status, or what Alaska calls “flight movement.” The Airbus fleet will still run on the legacy Virgin America system for now when it comes to flight movement, and Alaska had to make sure that the res system would work with that. The work has been done and it’s been tested, but I’ll be looking for errant flight status information on that day if things don’t work right. Still, that shouldn’t be a major source of delays even if there is a hiccup. The bigger threat could be the the passenger counts used for weight and balance. That’s also on a legacy system for the Airbus fleet, and it too has been tested with the Alaska reservation system. If that goes wrong, there are backups. But if you see them manually calculating weight and balance, then you know things have gone really wrong. That could cause delays if it were to happen, but that’s a pretty small risk compared to what we’ve seen in other migrations. There are just so few potential points of failure in this cutover that it’s remarkable. Chances are, it’ll go smoothly and you’ll never even know anything changed. That is, unless you’re a Virgin America fan. Then you can recognize this as a key point in the ultimate demise of the airline. Sure, some of those airplanes will still have the name painted on the side and purple mood-lighting for awhile longer, but the end is near. I think your last bullet point to answer the question “Why Wednesday?” could very well be the most important reason. Since more senior employees are generally less likely to panic, or to need guidance to resolve issues. Then the second reason – in my mind at least – is the third bullet point, with the more experienced travelers. Again, less likely to cause a big scene and panic, but rather keep their cool and remain tactful while the staff work at resolving the hick-up. The first two bullet points seem to be two sides of the same coin. But again, less demand means less travelers would be impacted *if* there should be any kind of trouble. Kudos to the Alaska management for shrewd planning and thinking outside the proverbial box of established precedent. I’m on a VA flight right now…. hopefully Wednesdays travelers are more experienced than the random people flying today! I will miss the food ordering option & GREAT service the inflight team always delivers on VA. Alaska is killing that. Virgin Australia is still around. It’s Virgin America (VX) that’s going away. Virgin America’s stock ticker symbol was VA.
I’m sad to see Virgin America go (aka for America to lose its Virgin-ity). Both Alaska and Virgin provided a high-quality product that by far surpassed what the hyperconsolidated majors gave us on domestic and Mexico routes. With any airline merger, the whole never seems to end up including the sum of its parts. The new AK may very well continue to provide us with excellent service. However, with AK & VA route redundancies removed, we’re going to lose some options to fly friendlier skies. I think you mean AS. AirAsia is not involved in this merger. Neither is Virgin Australia (VA), but I think we all knew what Erik meant. Damn, I missed that one. Leave it to me to screw up at being pedantic. What about pilots’ seniority? We know that was an issue in several mergers. Yosef – This isn’t the milestone where the pilots all start flying together, but Alaska does have a single contract for both pilot groups. It’s in arbitration now and will be ugly. There’s a three decade difference in longevity between the tops of both lists. The Virgin pilots lose a ton of seniority and Alaska pilots will get pushed down by people with vastly less time at their airline. How much of each is up to the arbitration panel. 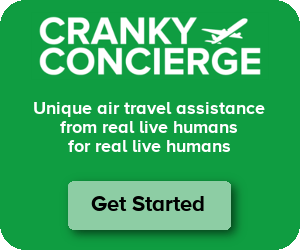 Cranky – Off Topic, but does the United Merger still have SUB-UA and SUB-CO crews? Is it ever going to be a single team? SUB-AA – Pilots are merged, flight attendants aren’t there yet. I think it’s later this year when they cut over to a single system so that they can merge? The merger for the flight attendants is supposed to take place October 1 st. That may or may not happy. The chances of it being s mess are high. Hell when they did the pilots they ended up calling people who were retired and pilots who were DEAD!!!!! Stay tuned. Not to mention the issues between crew members!! There will begin and games!!! I only flew Virgin America twice, but (based on that limited experience) I couldn’t see what all the fuss was about. The safety video was cute (the first time), the purple lighting was kinda cool… but what else was there? Legroom wasn’t very good (Jet Blue is better) and the aircraft interiors weren’t much different from what you’d see on other carriers. I flew them yesterday, in F. It was quite the disappointment. I don’t know if their rep was all hype, or if things were being neglected at the end. F did have a lot of legroom, I’ll give them that. Managing director of process engineering, what kind of job is that? Is this the date for the cabin service cutover or will the VX safety video, food, seat-back food ordering, and f/a uniforms live on for a little while longer? Hawaii – No, that lives on for longer. I’m not sure if there’s an exact date for that yet. I mean, the safety video will probably last until they pull the video screens out when retrofits begin later this year. I hadn’t seen that before. Yes, I hope those stay, they look cool. The most cited things about VX was rubbish. The mood lighting is just dark so you can’t see if there’s urine stains on the seat. The safety video is just rubbish in that you have read the subtitles as the lyrics are too hard to understand. Still, if it weren’t for the royalty payments, the Virgin name should have survived. But that greedy Sir Richard…. On the other hand, I would have liked the Big 3 to be called United, TWA, and Northwest, not American and Delta. And if JetBlue got Pan Am’s name and Southwest got Braniff’s name.